Section 11343, Revised Laws of Hawaii 1945, refers to the playing of prohibited games. This statute provides that every person who participates in or who conducts, either as an owner or employee, any specific type of game or any game in which money or anything of value is won or lost is guilty of a misdemeanor. So read the February 7, 1957 letter from Dan Liu, Chief of Police (signed by Arthur M. Tarbell, Deputy Chief of Police), to Dr. John Fox, President of Punahou School. Walter F. Dillingham, President of the Board of Trustees, and Mrs. Robert S. Lowery, Carnival Chairwoman, were copied on the communication. With this news being delivered on the eve of the start of the February 8-9 event fifty years ago this year, it seemed that the Carnival much attended midway was doomed. As for enthusiasm, the change “didn’t seem to take the starch out of playing interest” as record crowds were reported. The game midway was one of the busiest Carnival spots as players converged to play “Heart Attack,” where bean bags were thrown through a heart cutout, to shoot a candle flame with a water pistol, and to smash phonograph records (notably none of them by Elvis) with golf balls. By the time the receipts were totaled, the event was deemed a “smashing success” with a record gross intake topping $31,000. The following year “Prizes” would receive its first designation as an assigned home room booth. Mr. Bowers’ sophomores would be the first of generations of Punahou students to receive the assignment. Letter from Dan Liu, Chief of Police to Dr. John Fox, President of Punahou School. 7 February 1957. 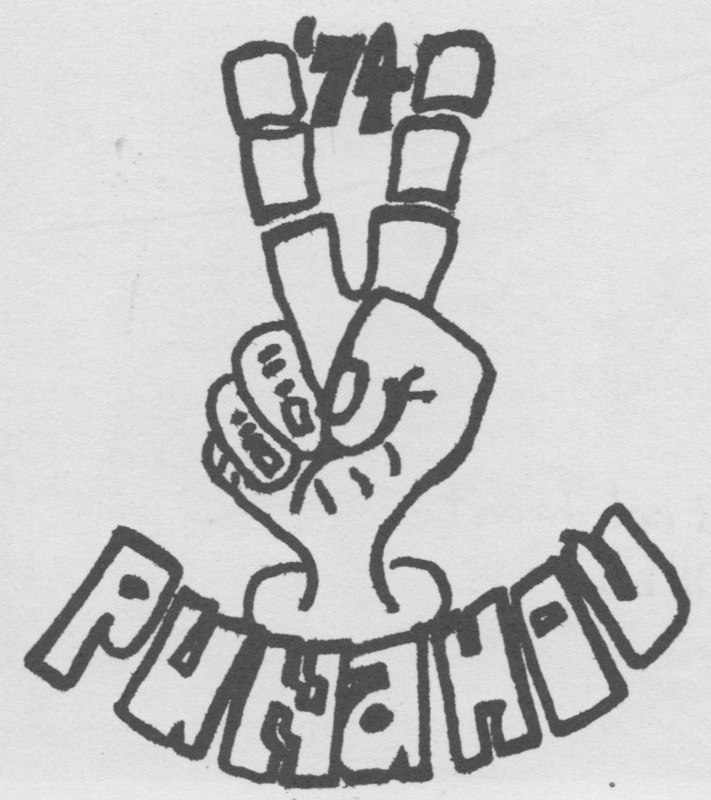 Punahou Archives. 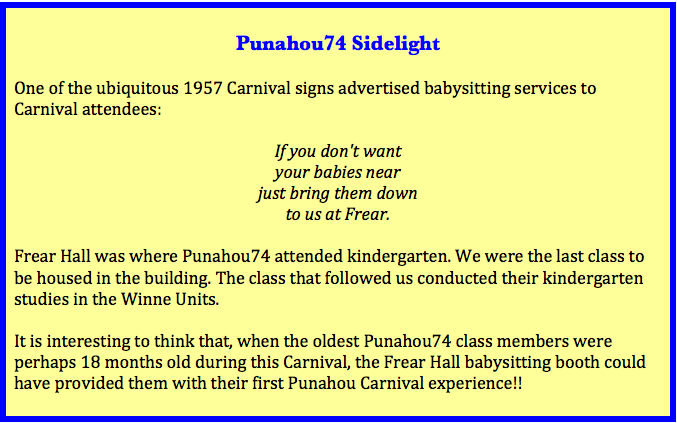 “Punahou Carnival Finds Answer: ‘No Gambling’ as Everyone Wins.” The Honolulu Star-Bulletin. 9 Feb. 1957. “Law Keeps Eye on Games At Punahou’s Carnival.” The Honolulu Advertiser. 9 February 1957. “Everyone helps, Carnival over the top.” Oahuan. Honolulu: Punahou School, 1957.